I was born in Norman and have lived in Oklahoma all my life. It was a blessing to have with relatives living in rural settings which provided me with the opportunity to develop a love for nature and wildlife. I was an avid bowhunter that enjoyed the stalk, and learned patience while sitting for hours waiting on that potential shot. There became a time in my life where the desire to harvest meat was replaced with a very simple desire just be there as an observer. Photography was something I have enjoyed since my early twenties. Family and friends encouraged me to invest in some good quality equipment and to pursue wildlife photography as something other than a hobby. There is an aspect of wildlife and nature photography where you put yourself in position to capture a moment in time that is very stimulating and satisfying. It’s a great adventure to be learning something new all the time. I purchased a Canon 50D and 100-400 lens. 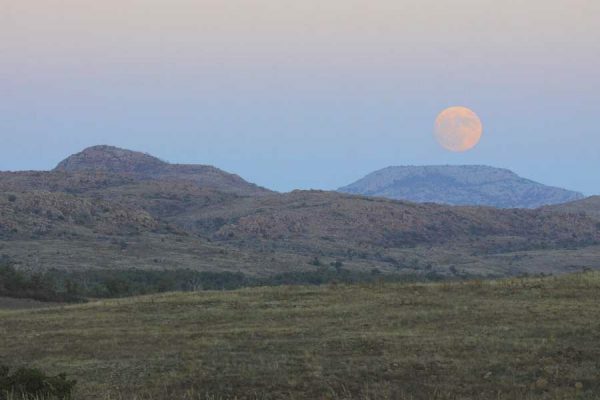 For my first shoot, I went to the Wichita Mountains Wildlife Refuge to capture buffalo. 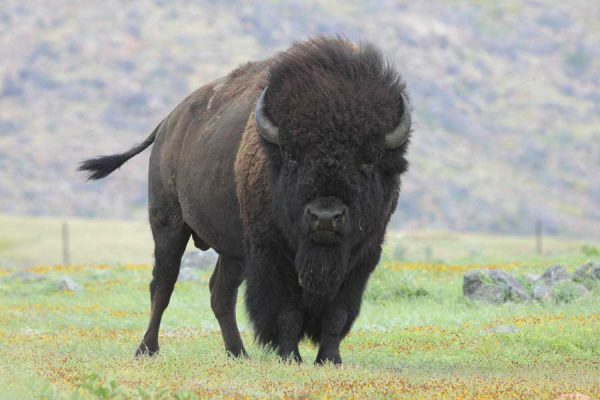 After visiting with some of the employees at the refuge on safe tactics, I learned that bison, their true name, are a pretty docile creature. However, you need to have a healthy respect for them. I’ve been treed by aggressive bulls twice. They are not always docile. My next goal was to get a close up of a bull elk. Over the past few years I’ve learned bulls are fairly easy to approach. They seem less concerned about their surroundings than the females. 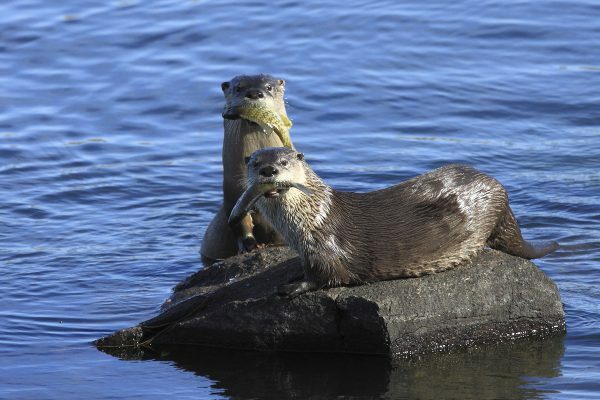 When river otters first came to my attention I was anxious to get some photos. It took about 3 weeks of scouting and hours upon hours of hiking to finally capture my first shot. I look forward each winter to finding them in lakes on the refuge. I’ve had more luck seeing them in winter than any other time of year. 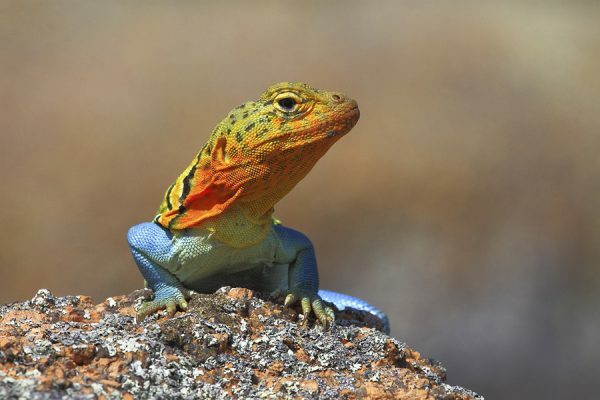 The Eastern Collared Lizard is Oklahoma’s state reptile. 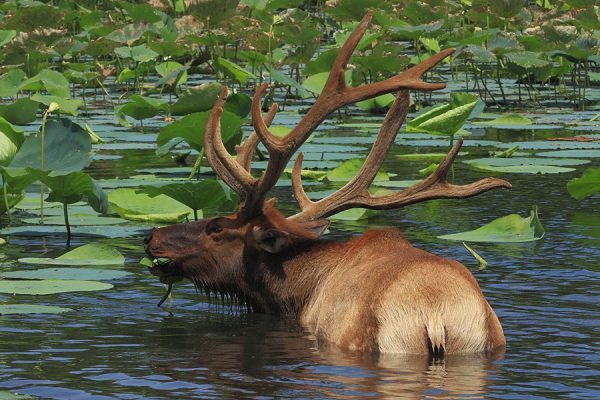 They are a common sight during spring and summer at the refuge. I love the mating colors they have from April through June. The behavior of a male Mountain Boomer can be very humorous. In addition to wildlife photography I enjoy taking shots in nature. Some of my favorites are landscapes, and sunrises and sunsets. 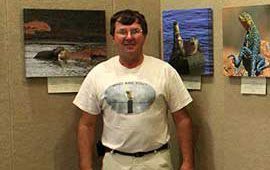 Products offered include prints, matted prints, canvas gallery wraps, and framed canvas. 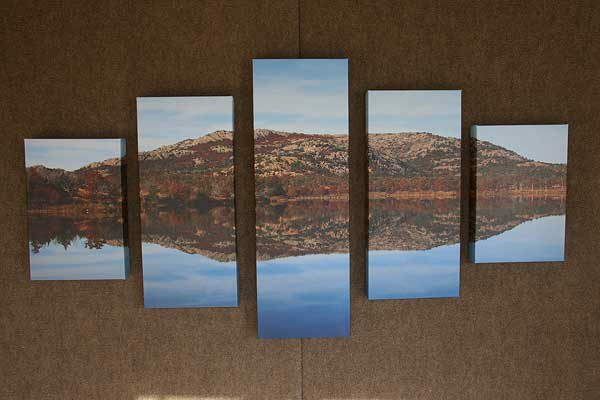 Additional products include multi panel canvas wrap. If you are interested in a multi panel wrap, the cost is determined by the size, and how the photo breaks down into panels. My brother in law, world renowned color guru Mike Adams, told me early on to do my own printing, This way I can be sure that the color balance was correct. 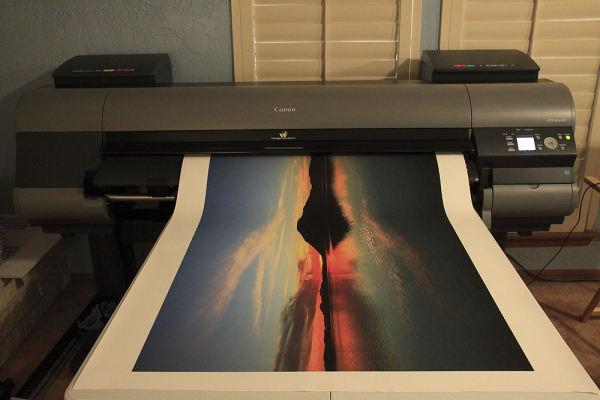 I print all my photos on my Canon imagePROGRAF iPF8400 twelve color 44″ wide format printer. Ask me about custom prints on both photo paper and canvas. I recently added a Tamron SP 150-600 lens to my kit. Now I can get even more interesting shots! I hope you enjoy my pics. Please visit by guestbook and let me know what you think about the site. NOTE: I have many photos and if you do not see one you want, please contact me. I’ll let you know if I have something. Also contact me if you have any questions about photo sizes.